The Person I Cosigned for Didn't Pay: Now What? What Happens When the Person You Cosigned for Doesn't Pay? A family member or friend may ask you to cosign a loan for them—to get a house, buy a car, get a credit card, or even to rent an apartment. And, because you care about the person and your credit rating is good enough to qualify, you agree. In an ideal situation, the person you cosigned for makes all the payments on time, abides by the agreement, and the deal goes off without a hitch. However, all too often, the opposite happens and the person defaults on the payments. Worse, you may not find out that the loan has gone into default until the account is severely delinquent and a lump sum is needed to get caught up again. When you cosign a loan, you’re not merely offering up your credit history for the approval purposes. You’re actually agreeing to assume responsibility for the debt if the other person can not make the payments. Because you're on the hook for loans you cosigned, you face all the consequences of missed payment or default. It's the same as if you'd defaulted on a loan you took out on your own. Not only are you liable for loan payments, your credit is also at risk. Any loans and credit cards you’ve cosigned for will be listed on your credit report. Late payments will be listed on your credit report and included in your credit score. The fact that you only cosigned for the loan doesn’t matter. If the account goes to collections, the debt collector will include you in any collection activity including calling you and listing the account on your credit report. 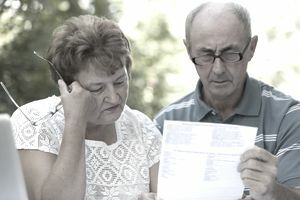 Either the lender or an assigned debt collector can file a lawsuit against you for any unpaid part of the debt, even if they don't sue the person you cosigned for. If the lender wins the lawsuit, a judgment will be entered against you. Worse, if you can’t satisfy the judgment in full, the lender can file to have your wages garnished until the debt is paid in full. Any eviction, repossession, or foreclosure that results from nonpayment on the cosigned loan will be listed on your credit report as well. Even if you were never contacted for payment, these actions will, unfortunately, go on your credit record and follow you for the duration of the credit reporting time limit. Worse, they can keep you from getting a house or car of your own. Should the other cosigner choose to file bankruptcy and the cosigned account is discharged, the lender can still hold you liable for the remainder of the balance. Unfortunately, once the other person has started missing payments, your options for dealing with a defaulted cosigned loan are limited and none of them are ideal. If the loan payments are behind, but the loan hasn’t defaulted yet, you can prevent more severe actions by catching up on the payments yourself. To protect your credit and prevent a lawsuit, you may have to cover the monthly payments until the person you cosigned for can start making payments on their own. With a house or car, you may be able to sell the asset and use the proceeds to pay off at least some of the loan. However, you’ll still be responsible for any balance left unpaid if the sale price doesn’t cover the full loan. Depending on the other person’s credit history, they may be able to refinance or consolidate the loan so that it’s in their name only. But, if they’re already behind on payments, the odds of them being able to qualify for their own loan are slim. Alternatively, you may be able to refinance or consolidate the loan yourself if that will result in a lower, more affordable monthly payment. You may choose to file bankruptcy if you simply can’t afford to pay for the loan, especially if you’re having trouble making your other credit card and loan payments. While this sounds extreme, it may be your only option. However, you should consult with a bankruptcy attorney before making this decision.